Check out what one of our favorite cupcake bakers, Wisconsin's Amanda Cupcake, created: red velvet ruby slipper high heel cupcakes! 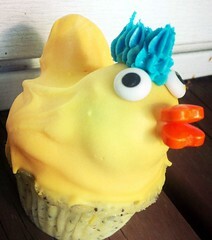 Plus a rubber ducky cupcake for AugustFest. Love them! 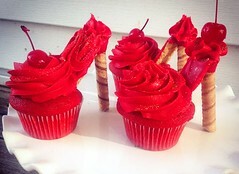 See more photos and get the latest news and updates on Amanda Cupcake's Facebok page. Thank you so much for sharing my ♥ of cupcakes with the world! ♥ you ladies!!!!!!!!!!!!!!!! !